Women's Tank Top, solid white colour, stretchable fabric,softest, smoothest, good looking slim fit t..
Women's Tank Top, solid black colour, stretchable fabric,softest, smoothest, good looking slim fit t..
Women's Tank Top, solid navy colour, stretchable fabric,softest, smoothest, good looking slim fit to..
Women's Tank Top, solid fuchsia colour, stretchable fabric,softest, smoothest, good looking slim fit..
Women's Tank Top, solid turquoise colour, stretchable fabric,softest, smoothest, good looking slim f..
Women's Tank Top, solid Red colour, stretchable fabric,softest, smoothest, good looking slim fi..
Women's Tank Top, solid chocolate colour, stretchable fabric,softest, smoothest, good looking slim f..
NEEVOV is giving the next generation of women an entire new way of portraying fashion. Tank tops are stylish and they never go out of style. From your basic ribbed tanks to ones with spaghetti straps, these essential items complement any clothing collection type. If you need to cover some faults, choose tanks covers with curved seems to help shape your body. 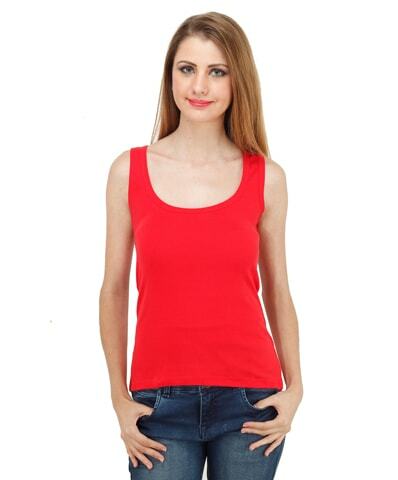 After finding the perfect fit Tank top at NEEVOV, organise your tank top to fit multiple kinds of events. For a night out, couple a dressier tank top online shopping with a couple of dark denims boot cut denims and boots. Dressier tank tops are available in many materials kinds from cotton and lycra combinations, to cotton and soft silk materials. In particular, soft silk tank tops offer a good choice when going out for a fancy dinner. Because many soft silk tank tops have a flowing feel to them around the waistline, they offer a great choice for any body shape. They are also basics for informal, workout, and business wear. Tank tops are an important "go to" choice for tasks or even going to a film. In winters, pair your tank top with your favourite hoodies. Tank covers are also traditional items to put on under a fit or cardigan. As an example, a camisole is a type of clothing. Dressed in one with a little ribbons on the top contributes a bit of womanliness to your business wardrobe. NEEVOV has online t shirt which includes plain online t shirts India, custom graphic t shirts for girls, boys, women and men. 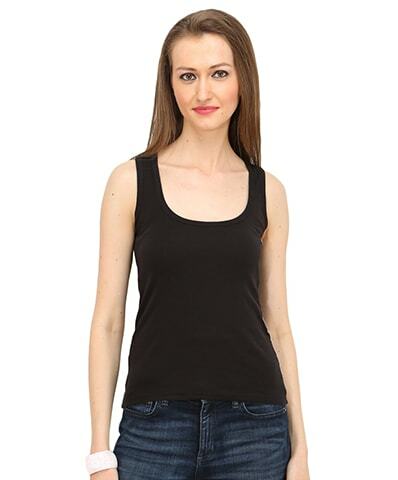 Breathable tank tops available at NEEVOV e-store provide a perfect choice for outings. Not only do they shape to your body for a perfect fit, they pull away wetness so you stay awesome when going out. For yoga enthusiasts, these workout tank tops online India stretch and expand as your body demands. Sometimes when tank tops have a design, or embellishments such as pellets, you do not need to over-accessorise. Keep in mind you want to look at the design of that tank top. If your t shirt is simple, you may add some style to your look by coupling one with wristbands or ear-rings. Tank tops at NEEVOV come in different designs and forms to fit any body types. These style basics will always stay fashionable and you can pair them whenever you want to spice up, or dress down, your look. Don’t look any further. we at NEEVOV have a widest variety of tank tops that suit your persona and character. Start flaunting your figure with NEEVOV Tank tops.